Withour first installment of Adventures of ADP covering rounds 1 and 2, it's time to dive into rounds 3 through 5. And while it sounds clich, this is where many leagues will be won or lost. These three rounds feature a happy mess of high risk - high reward players, rookies, bounce back candidates and numerous potential busts. Navigate your selections well, and you will put yourself at a huge advantage versus your league mates. Let's dive into some of the more noticeable trends. 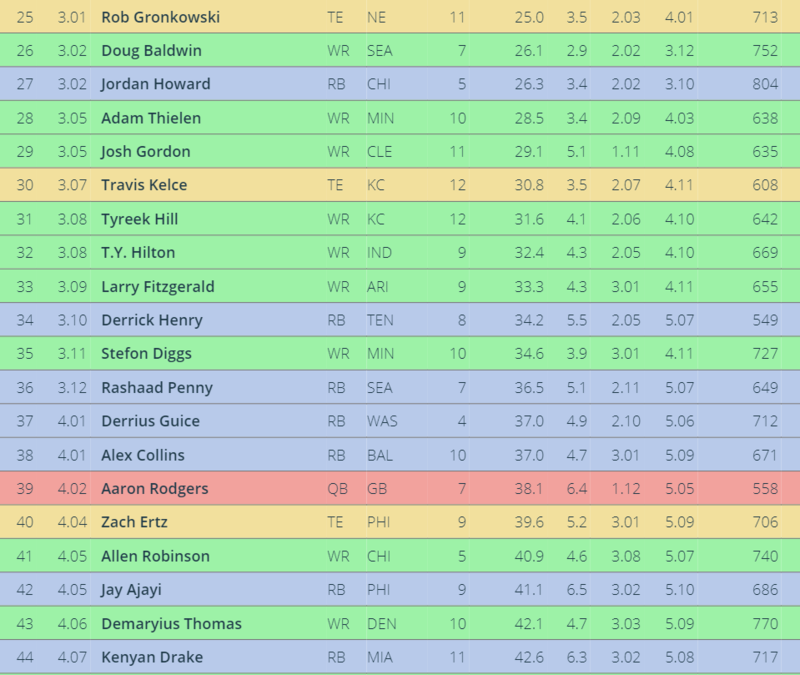 It takes until round three for us to arrive at our first quarterback (specifically Aaron Rodgers at 3.04.) That's not to say that having a top tier quarterback isn't valuable, simply that mock drafters aren't seeing a huge difference in point potential, and are choosing to wait. That mirrors the results of last year, where the 2nd and 12th quarterback were only separated by about a point and a half a week. This feels like too reactionary to 2017 andI would be happy to reach in the early fourth for a Tom Brady or Drew Brees. 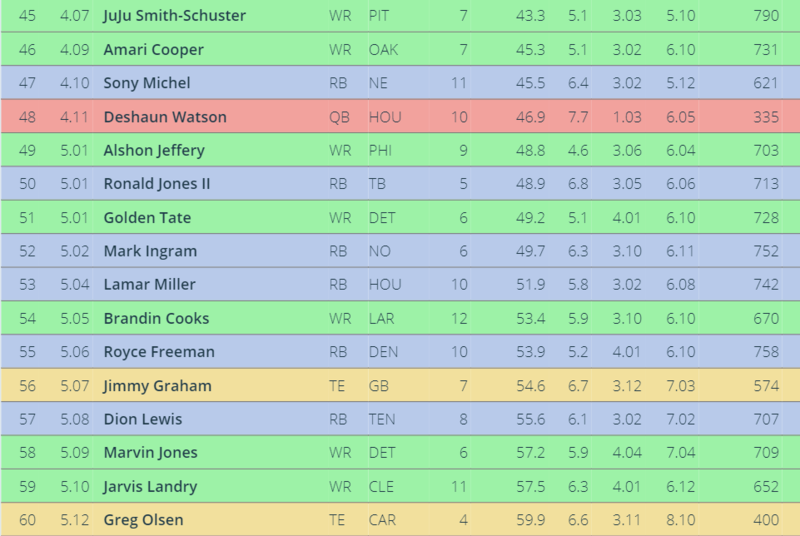 Additionally, I know Deshaun Watson set the world on fire last year, but he was still inaccurate and inefficient, and he is going 17 spots above Brady and Brees. He's a hot name, so I expect him to continue to be taken in the third, but do yourself a favor and grab a known commodity. Especially critical will be your wide receiver selections through this round. I have questions surrounding every single player at the position from this range. 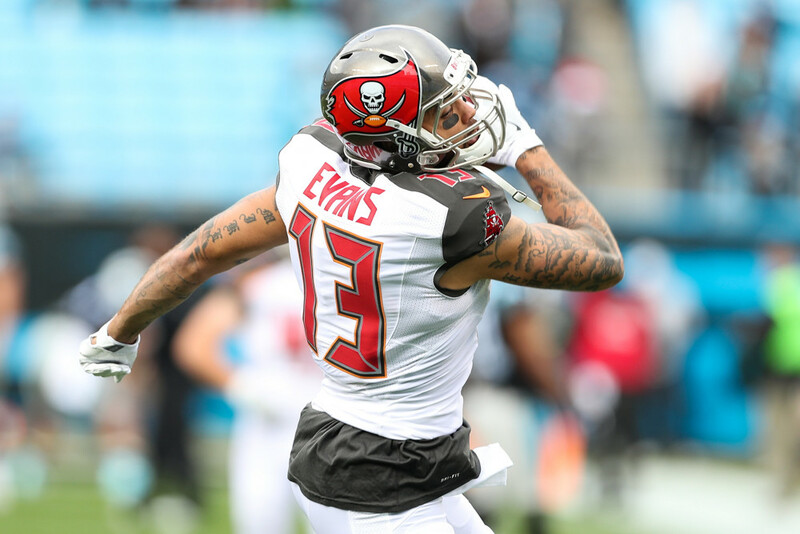 Will Mike Evans bounce back, will Tyreek Hill be able to continue to hit big plays, do you really trust Josh Gordon, can Adam Thielen repeat, can Andrew Luck actually throw a ball to TY Hilton, how will Allen Robinson do in Chicago? The list goes on and on. Hitting the right combinations on these picks will go a long way toward a championship, while finding busts here will kill your wide receiver depth. You basically have two choices here (outside of Joe Mixon,) run back a familiar face or try your luck with a rookie. Rounds 3 through 5 features retreads in Jay Ajai, Derrick Henry, Lamar Miller, Mark Ingram Kenyan Drake and Marshawn Lynch versus the who's who of the rookie class (Guice, Penny, Michel and Ronald Jones II.) I'd probably lean toward the upside of a Guice or Jones II, but their bust potential is obviously higher. The tight end position is especially uninspiring in 2018, and it is reflected in the fact that only 5 players make an appearance in the first 5 rounds. With so few reliable options later in the draft, you will have to decide whether you want to use an early round selection to create a positional mismatch or pray for a sleeper pick late.